Wedding photographers in Maine love an individual twist at a wedding. I attract a great number of very non-traditional couples and this couple built a church frame for everyone to walk through. 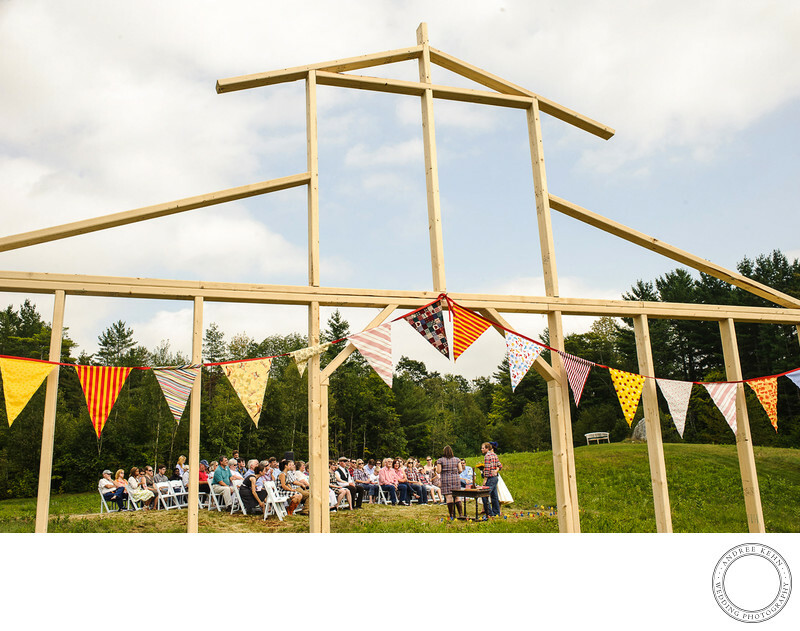 The bride wanted an outdoor wedding, but a little tiny part wanted to get a church wedding, where she could walk through the door of a chapel and down the aisle, so her groom built her a chuck to frame up her experience. 1/320; f/13.0; ISO 500; 35.0 mm.